Graceland was the title of Paul Simon’s 7th solo album release in 1986. For me, the name Graceland perfectly describes our Mums – the world they create for us, and the lessons they teach us. Here are our gift ideas for a unique kind of Mum who craves Style for Christmas. L-R: Ahoy Trader Lani Grey Mini Porthole. 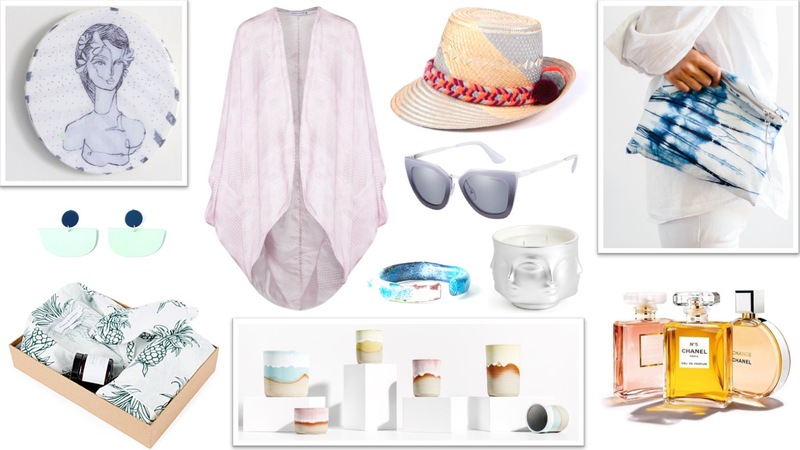 Round mixed medium decorative tile (wall hanging), Zoic Zucheng at House of Cannon silk kimono, YOSUZI Resort 17 ‘MAÏA’ hat, KARMME x SHIBORI ‘Glacial’ clutch, NGV Design Store Bianca Mavrick ‘Half Circle’ earrings, Sunglass Hut PRADA SS16 sunglasses in gradient grey, NGV Design Store Nadene Carr cuff, Jonathan Adler at Mr & Mrs Jones ‘Muse’ candle, Desmond and Dempsey at Selfridges ‘Howie’ shorts cotton PJ set featuring mother of pearl buttons and all-over hand-painted pineapple motif print (Selfridges exclusive), Takeawei ceramics at NGV Design store, CHANEL Mademoiselle, CHANEL N°5 and CHANEL CHANCE. Classics for a classic – can’t go wrong. This editorial was created by Melissa Ogier at The Garb Wire. 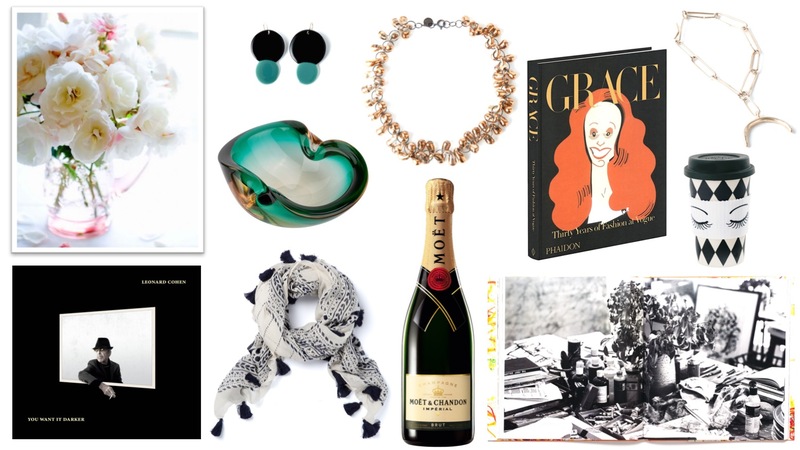 The Garb Wire’s themed ‘gift guide’ reflects who we are, crazed style obsessives who swing well to the left of the ordinary. For inspiration this year I selected album titles from Rolling Stone Magazine’s Top 500 Albums of all Time list published in 2012. Images supplied with thanks by Flaunter, NGV, Yosuzi, and Sony Music Australia. Other images sourced from the internet.